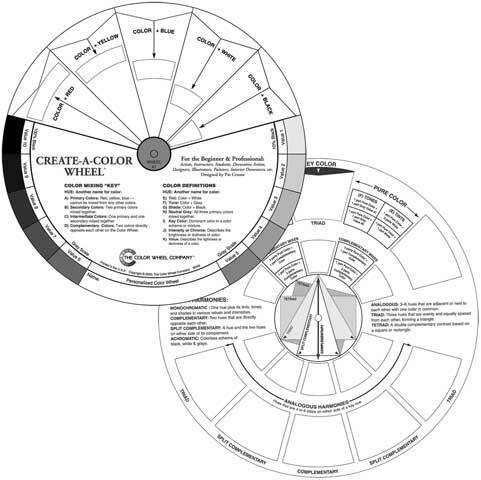 Create-A-Color Wheel Color Wheel Co. This uncolored color wheel is ready for you to paint with your own favorite colors. A practical, hands-on tool for teaching painting, mixing colors and color relationships. Use your favorite medium-oil colors, acrylics, pastels, watercolors, etc. The wheel measures 9-1/4" in diameter.